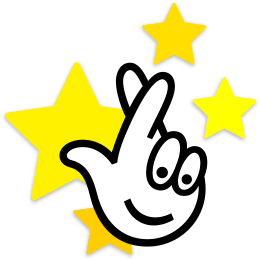 Our Euromillions statistics offer data from all historical draws. Get the system generate statistics (data) that you need, compare the data and pick the most favourable combinations for the next draw. We have grouped all data in the appropriate lists. Below you can find a guide to generate the statistics including explanations of all lists. Using the top „Set statistics setting“ panel, you can choose the number of draws and specific days to display in the statistics. Having chosen the two items, simply confirm your setting by pressing the green „Recalculate“ button. Within a couple of seconds, the system will generate re-calculated details of analyzed numbers. We wish you best of luck! shows the percentage of even vs. odd main (extra) numbers for your chosen period of time. A table showing the most frequently drawn main (extra)Euromillions lottery numbers including the most recent draw date. The basic table shows the number top down. Using the arrows in the table’s header, each viewer may configure the table individually. The list of most frequently drawn main (extra) numbers including the date of the most recent draw. Same as the main number, extra numbers can be put in the same order. A graph showing the frequency of drawn numbers (main and extra) in your selected period. By hovering the cursor over any chart’s column the system will show you a detail of the main (extra) number. The table shows the frequency of drawn main (extra) numbers in the recent draws. After each draw the number is marked in the table and each line means the number of draws since the most recent draw. This can be used for identifying average intervals between the draws of a particular number, serves for forecasting the likelihood of draw. The list displays which main (extra) numbers are drawn most commonly in pairs or triplets regardless of the order. You can also view which of the consecutive pairs or triplets are drawn most frequently. The principle of this list is identical with the previous one. The only difference is that this graph shows most common consecutive pairs or triplets of numbers. Table of the top 5 jackpots won in your chosen period of time. A graph showing the evolution of Euromillions jackpot in time over your chosen period. The maximum is 100 most recent draws. Hovering the cursor of your mouse over the selected date will display more details.